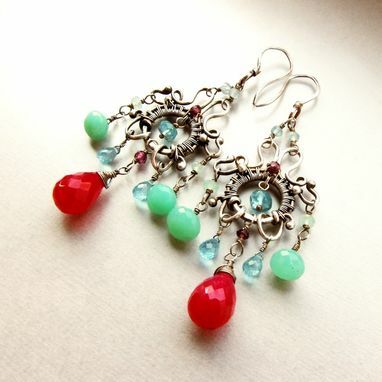 A beautiful combination of colors, these dangling chandelier earrings are made with both fine and sterling silver. 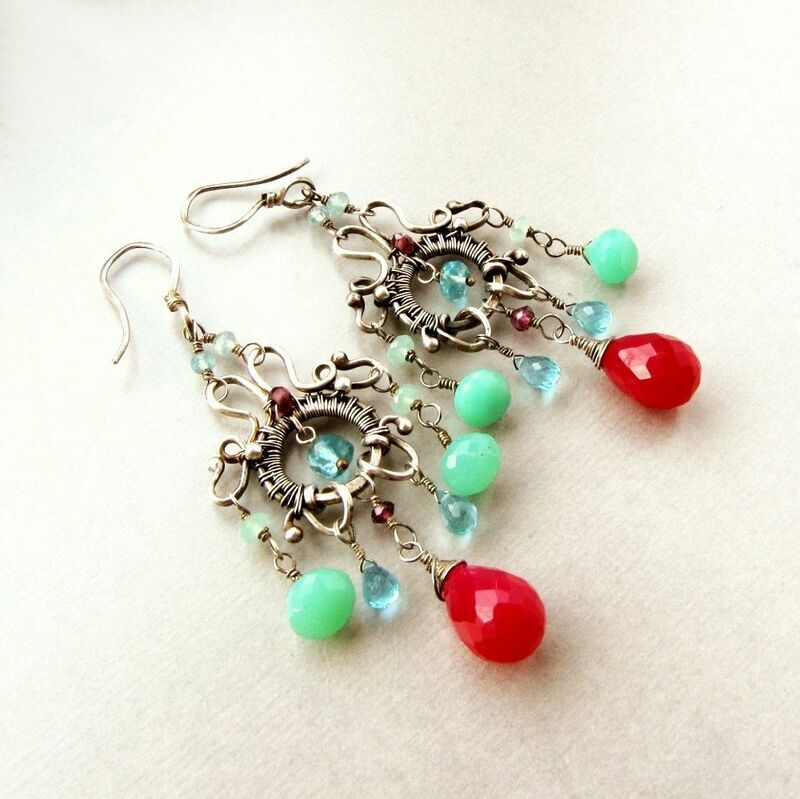 Fused, wire wrapped, and hammered by me, they have an elegant Victorian and Baroque style to them. 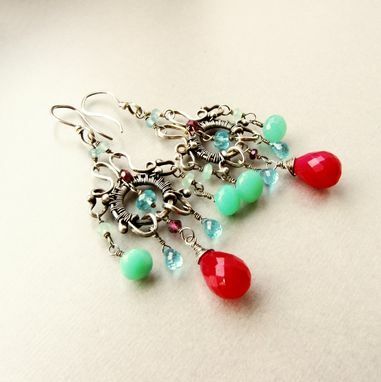 Gemstones used are large, plump hot pink Chalcedony briolettes, minty apple green Chrysoprase briolettes, gorgeous blue Apatite briolettes and an ample Apatite rondelle in the center of the chandelier frame with petite Apatite rondelles near the ear hook, and lovely Rhodolite Garnets accenting the pieces. 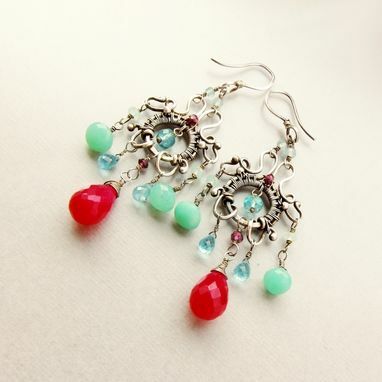 The earrings measure 2-7/8 inches or 7.3 cm from the top of the ear hook to the bottom of the Chalcedony drop.